An year ago, we visited France. Since then, the tower of Eiffel and the city of Paris look different from those we’ve seen before on TVs or in pictures. We took stairs instead of the lift since there were long queue, the city of Paris we see every time we stopping at the landing fascinated us and each old buildings consisting the beautiful city of Paris are pretty low-tech and human spaces were always there. All those experience make me feel different. The other day, we drove up to Mt. Yashima after a meeting with a client. It is a table mountain and was always visible from the client’s house, the height is bit below 300m. It is not that high, always visible, these things made us feel as we already knew what it is. We turn the steering wheel by chance to the top of it and it led us to the great view of Inland sea which we’ve never expected. Although there are tons of things and scenes which we “saw” on TVs or on pictures, we should not regard those as we actually “saw” them. This short trip taught us so. 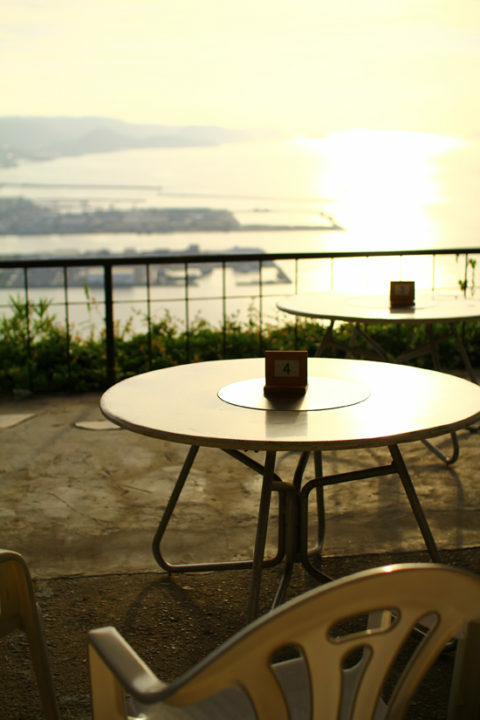 Photo: The view of Inland sea from the top of Mt. Yashima.